Rihanna was spotted rocking a pair of custom made Bob Marley Timberland boots. 4. 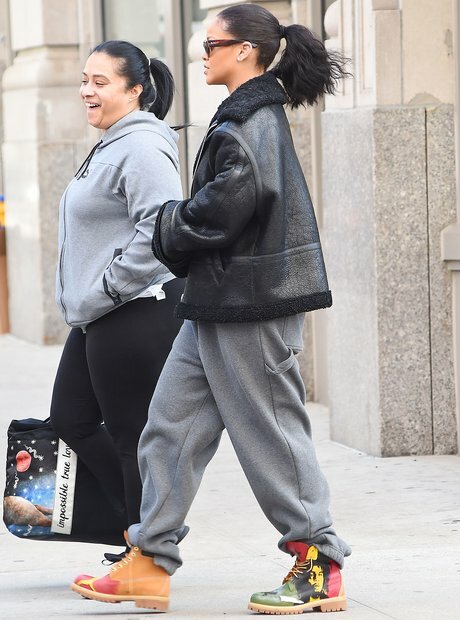 Rihanna was spotted rocking a pair of custom made Bob Marley Timberland boots.